Two big rooms available for rent for rehearsals, practices, performances, and other events. Renters must read and follow the rental rules. Check the events calendar for availability. 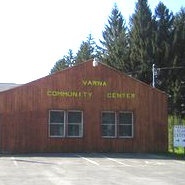 Contact rentals@varnacommunityassociation.org for more information.